Heartless capitalism taught at “Trump University”, the now defunct, for-profit college for wannabe real-estate moguls, comes home to roost in the installation Real Estate Goldmine by Joshua Starcher and Melissa Estro, which is on show at the artist-run Governors Island Art Fair, New York (weekends until 1 October). The Brooklyn-based artists, who hail from Cleveland, were horrified by the devastation caused when the once proud homeowners of Slavic Village in Cleveland had the misfortune to live in a Zip-code that was targeted by predatory investors during the recession. According to a Trump seminar, the ideal homeowner in financial distress was: a “borrower, … out of work, … has $50,000 in unpaid medical claims, … is completely disabled, … [and] had an extraordinarily messy divorce". 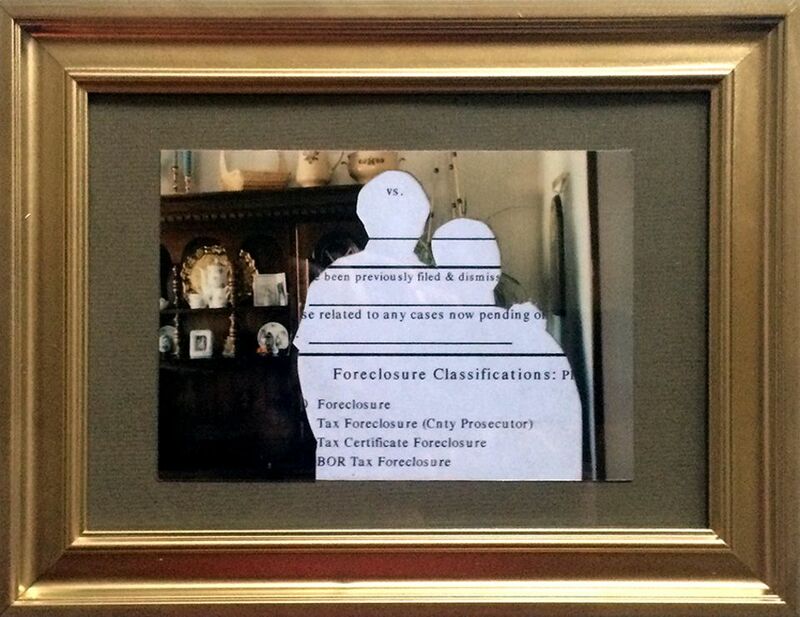 On the walls of Real Estate Goldmine are Trump quotes embroidered in cross-stitch, such as: “One Person’s Misfortune is Someone Else’s Opportunity,” and “That’s Just the Way the World Works.” They are surrounded by gold-framed family snapshots. The artists found some of the original images in the now semi-derelict neighbourhood. The former homeowners have been cut out and in their place is the paperwork of debt and personal misery. To complete the domestic nightmare, Trump’s real-estate realpolitik recorded in his own words is broadcast from the radio in Real Estate Goldmine while the phone rings constantly with a debt collector on the line. “When Trump came to Cleveland a lot of people were asking, ‘How can he sell his politics when he has devastated this city?’” Starcher recalls.